Make and receive calls on cell phone plans while using the comfort and convenience of your home phone system. Pair up to two Bluetooth® compatible cell phones with the base station and enjoy conferencing and call transfer capabilities. Download up to 6,000 cellular phonebook entries to system handsets. Distinctive ringer tones for cell and land line calls make it easy to distinguish between the two. Four, pre-set equalizer programs let you choose the sound quality that best fits your hearing. 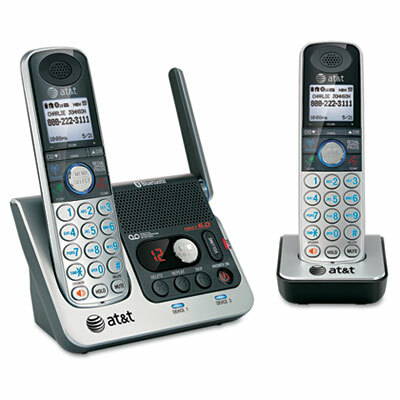 Expandable system makes it easy to add cordless handsets in any room.